Duke University’s landmark “big data” initiative has been named in honor of longtime supporters Michael and Maureen Rhodes. The Rhodes Information Initiative at Duke (iiD), founded in 2013, was officially named by the Duke University Board of Trustees in November 2018 to “express deep appreciation and gratitude to Michael George Rhodes and Maureen C. Rhodes for their generosity,” according to the board resolution. The Rhodes family has made significant contributions to advance the initiative, which works to increase computational research and expand student engagement in the rapidly growing field of data sciences. Since its launch, more than 5,000 members of the Duke community and 50 partners from industry, government and non-profits have engaged with the Rhodes iiD, pursuing interdisciplinary projects ranging from predicting diabetes complications to quantifying gerrymandering to finding parking on a crowded campus. Matched by challenge funds from philanthropists Anne T. and Robert M. Bass through Duke’s Bass Connections program, the Rhodes gifts provide fundamental support for iiD’s signature Data+ program, which is part of the Bass Connections Information, Society & Culture theme. Data+ brings multidisciplinary teams of faculty, graduate and undergraduate students together each summer to explore and develop data-driven solutions to real-world client challenges. Winner of a 2016 global Reimagine Education award for “projects that enhance learning and employability and are both innovative and scalable,” Data+ now attracts more than 300 applications for 100 student slots annually. 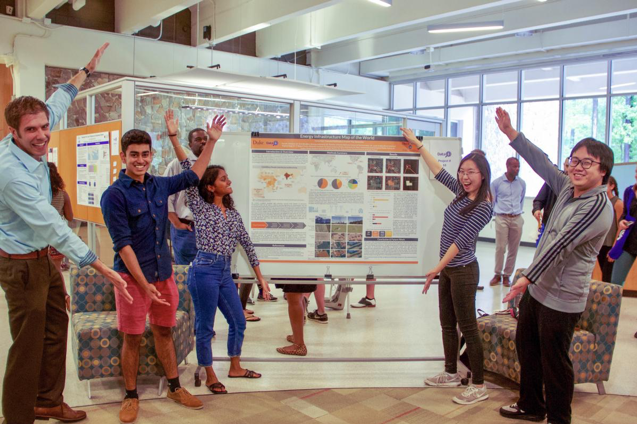 It has also inspired similar programs across campus, including a new foundational data sciences course for Duke Engineering undergraduates and the recently launched +DataScience, a new initiative intended to further extend the reach of data science to lift all schools at Duke. 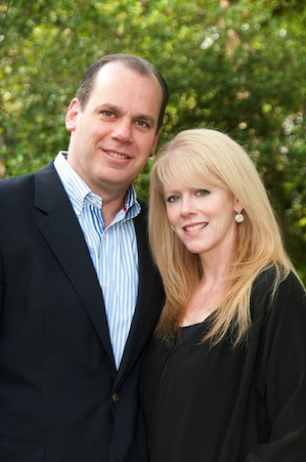 The couple has also funded graduate fellowships and professorships in engineering, including the Bell-Rhodes Associate Professor of the Practice in ECE, currently held by Stacy Tantum, who co-teaches the engineering data science course with Data+ director Paul Bendich, associate research professor of mathematics. They also established the Rhodes Family Professorship in ECE, held by Vahid Tarokh—one of the world’s most cited researchers in computer science, who was recruited from Harvard University in 2017 as part of the Duke Quantitative Initiative. More than 100 Duke undergrads each year team up with faculty and graduate students to find data-driven solutions to real client challenges. 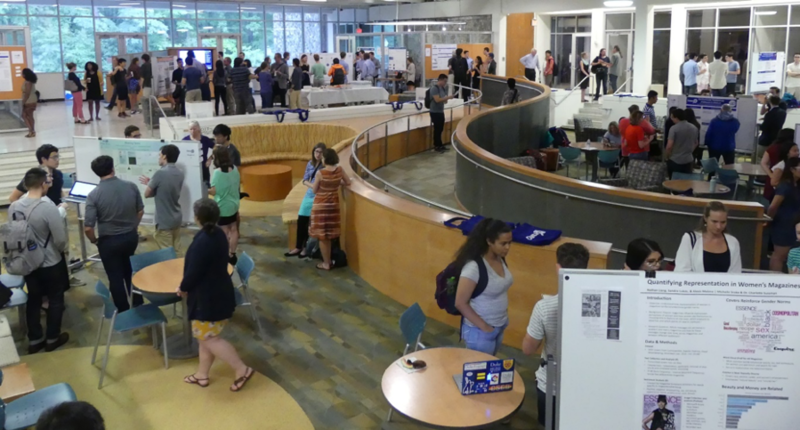 Above, the 2018 Data+ Poster Session. The Rhodes iiD has been critical in fostering a community of thought leaders in data science, according to leaders. Among others, the initiative is home to faculty such as ECE’s Guillermo Sapiro, collaborating with Duke Health’s Geraldine Dawson to develop a groundbreaking iOS app for early autism screening, and ECE’s Lawrence Carin, working with Duke Health’s Geoff Ginsburg and Robert Califf to deliver data-driven approaches to personalized health care. Today, based on the NIPS 2017 publication index, Duke is among the top 10 organizations worldwide--including heavy hitters like Google and Microsoft--in the field of artificial intelligence and machine learning research. 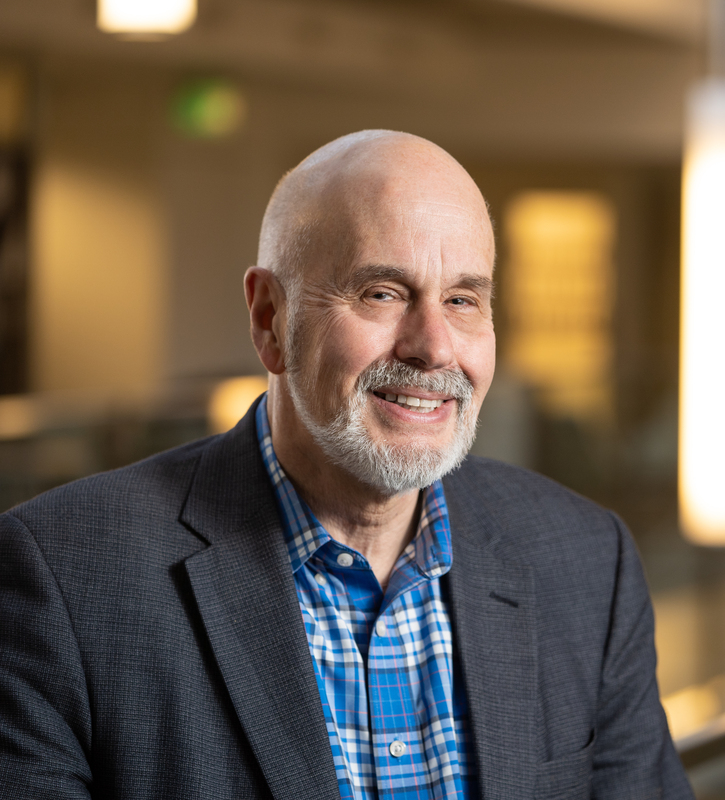 Michael Rhodes, a 1987 graduate of the Pratt School of Engineering, said that he and his wife, Maureen, were inspired to contribute to the iiD in part by firsthand knowledge of how data science is changing the world. As an executive in the data-intensive financial services industry, “I believe very strongly that data and information will transform our lives in the 21st century,” said Rhodes, who is the group head of Innovation, Technology and Shared Services at TD Bank Group and a member of the Pratt School of Engineering Board of Visitors.